Conclusion: How to recognise the high cholesterol level? Nowadays lowering cholesterol levels is an urgent question for many people. But did you know that lowering cholesterol can also be harmful? It’s because a lack of this element also leads to the increase of diseases. In the blood, it is carried in its pure form. So its lack or excess often leads to the cardio system diseases. Cholesterol is necessary for the brain to function. In sufficient quantities, it helps the body absorb fats. Before getting to know how to lower cholesterol. Let’s figure out its effect on the human body. About 80% of this substance is produced in the liver. Another 20% comes from food. Normal cholesterol level is important for a person’s well-being. Increased blood cholesterol is dangerous. Actually, it promotes the formation of some diseases. In future, they can even lead to heart attacks and strokes. Therefore, the question of how to lower cholesterol becomes very important. Why then is everyone afraid to raise it? In fact, there is a strong correlation between overweight and high blood cholesterol. Weight reduction helps lower cholesterol. If the normal body mass index matching to age and growth. It is not possible with the help of diet and physical activity. Then meeting with a specialist is necessary. Our experts prepared top 10 ways how to lower cholesterol level. Of course, saturated fats have the most vital effect on how to lower cholesterol. So, it would be right to reduce the use of some saturated fat sources. Such as fatty meat, butter, cheese and refined oils. Whenever possible, replace these products with fish, poultry, or low-fat dairy products. 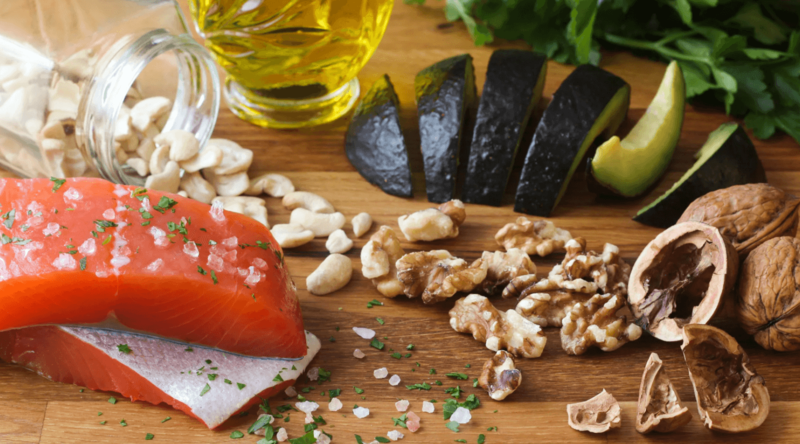 Actually, you might be surprised to learn that not all fats are harmful to the body. There are those that are necessary and very beneficial. 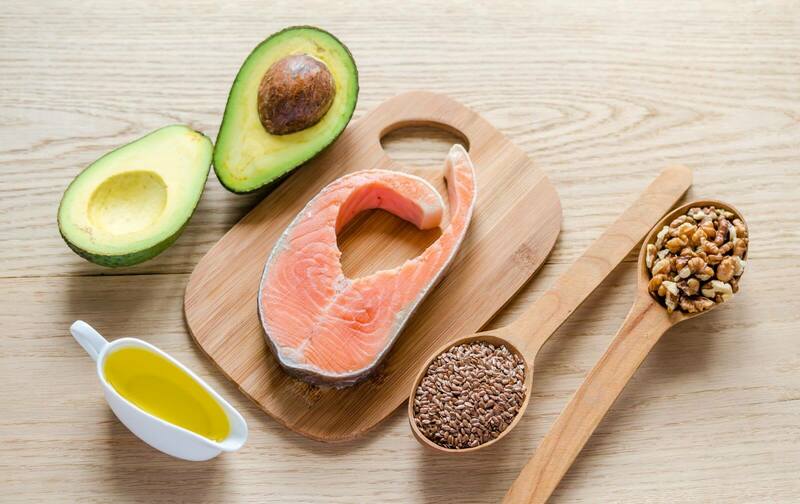 Fats help form cell membranes and connective tissues. They help to lose weight, maintain weight and build muscle mass. The daily fat intake is 1 g per 1 kg of your own weight. Lack of useful fats provokes hormonal disorders. This is followed by a decrease in the estrogen level in the body. Besides, a break of the menstrual cycle, etc. And it is clear that you need to give preference to this type of fat. 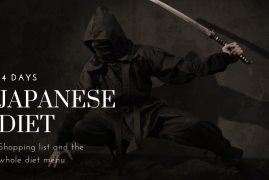 The most dangerous among the harmful fats. To make it easier to decide what products they contain, remember one thing. They are solid at room temperature. Saturated fats are found in such products. Animal fats (butter, cheese, white fat on meat and chicken skin). Tropical vegetable fats (palm and coconut oil). Fatty meat products (beef, mutton, pork). 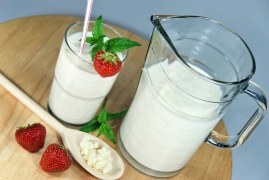 Dairy products (milk, cheese, cream, etc.). They are used to extend the life of products. They cause a tense release of insulin into the blood. And the growth of excess fat. Trans fats are contained in such products. Which fats are useful? Useful or natural fats are usually in a liquid state at room temperature. They are of two types – monounsaturated and polyunsaturated. Both groups work together to provide the body with energy. Besides, keeping healthy skin, hair and nails. Improving digestion, reducing harmful cholesterol and protecting against heart disease. They are great helpers if you searching the ways hor to lower cholesterol. These include oleic acid, also known as omega-9. It is just part of the cell membrane. With its lack in the body, metabolism slows down. Foods rich in such fats. These include omega-3 and omega-6 acids. Our body does not produce one and another. These fats are completely broken down in the body. Maintaining the skin and kidneys in good condition. Ensuring the normal functioning of the brain. As well as protecting our body from inflammation. Moreover, these fatty acids can accelerate the process of fat loss. Oily marine fish (salmon, mackerel, herring). Mind that if you avoid eating fats, you risk slowing the metabolism. Besides, to harm your hair and skin, reduce vision and well-being. So, excluding the harmful fats, do not forget about healthy ones. Products such as vegetable oil, a small amount of cheese and eggs should be present in your diet. They will help you a lot in how to lower cholesterol. Olive oil and some other products, such as nuts, avocados have a common feature. They have a high content of quite different fat. It was possible to reveal that such fats reduce only LDL-cholesterol (harmful). And HDL-cholesterol (a useful one) is left untouched. Thus, stick to a low-fat diet. Then add 2-3 tablespoons of olive oil. And so on a daily basis. Make sure to replace other fats with healthy ones. Olive oil is a special component of food. Its use treats many diseases. Especially when you are looking for the ways how to lower cholesterol. And forms a natural barrier to pathogenic organisms. It also showed itself in the treatment of high cholesterol. Substance belongs to 100% vegetable parts. How much cholesterol is in olive oil? As in any other form of vegetable fat – 0 mg. When it comes to how to lower cholesterol, it is good to use olive oil. Such an effect is explained by a large number of mono-unsaturated acids. They have such benefits for the human organism. Accelerate the removal of low-density lipoprotein LDL from the body. Stimulate the production of beneficial cholesterol HDL. Reduce blood thickness, preventing blood clots. Restore the elasticity of blood vessels. Clean the intestines, blood, remove toxins, slags. The product obtained from olive fruits can be. Extra virgin (natural). Unfiltered (extra virgin unfiltered), filtered (extra virgin). Made from high quality whole large olives. It has a yellow-green colour, bitter taste, strong specific aroma. First cold press or drip. Obtained by cold pressing. Possesses softer taste, not such strong smell, as an extra-class grade. Refined olive oil. Made using reagents, the method of extraction. Because of this treatment, it has no taste, and smell. Contains little fatty acids. Mixed (pure olive oil). In order to give aroma, taste a grade of an extra class is added. You can expose to high temperatures during cooking, add to salads, main dishes. Oilcake (pomace olive oil). The product of the lowest quality. It is made from the olive mass remaining after the first cold spin. Brings little use, but can be used for cooking, baking. Tips on how to choose a good, and most importantly useful product. 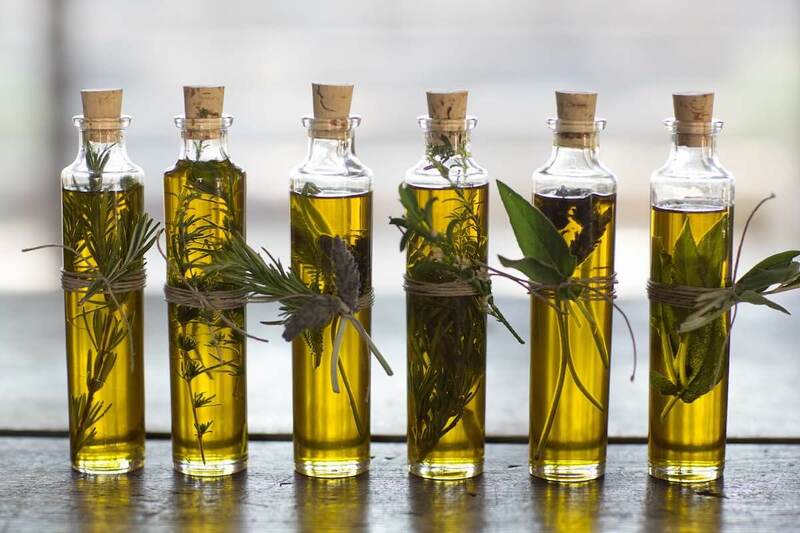 Extra-class oil, the first cold-pressed is the most useful. Especially for people with high cholesterol. Very good for dressing salads, vegetable dishes. Do not apply for frying. Refined oil loses its beneficial properties, and taste. But is suitable for frying. It should be remembered that during roasting, carcinogens are released. They act as trans fats. They clog up blood vessels that increase the level of dangerous cholesterol. This product cannot be cheap. Olives are harvested by hand for higher grades. And such work, as you know, is expensive. Therefore, the oil at a low price has little to do with the original. Natural, original product has a specific taste. It has very sharp, bitter, grassy-fruity aroma. If black olives were used for the manufacture, the colour is obtained in deep yellow. If unripe green olives – it is yellow-green. An important quality indicator is the acidity of the product. Medicinal properties that reduce cholesterol, process oils with the acidity below 0.5%. For lowering cholesterol levels. It is advisable to apply such treatment schemes. In pure form. Drink, starting with 0.5 tsp. Gradually increasing the dosage to 1 tbsp. Take twice a day. In the morning on an empty stomach. In the evening in 30 minutes before a meal. Eating on an empty stomach improves digestion, activates the immune system. Cleanses the body of toxins, waste, the bad cholesterol. With the addition of lemon. 2 tbsp. olive oil is mixed with half a lemon juice. It is taken in the morning, immediately after waking up. At least half an hour before meals. The course of treatment is 40-60 days. With the addition of garlic. 1 garlic clove crushed with a blender, add to 0.5 litres of oil. Insist on 7-10 days. Take 1 tsp. 3 times a day before meals. 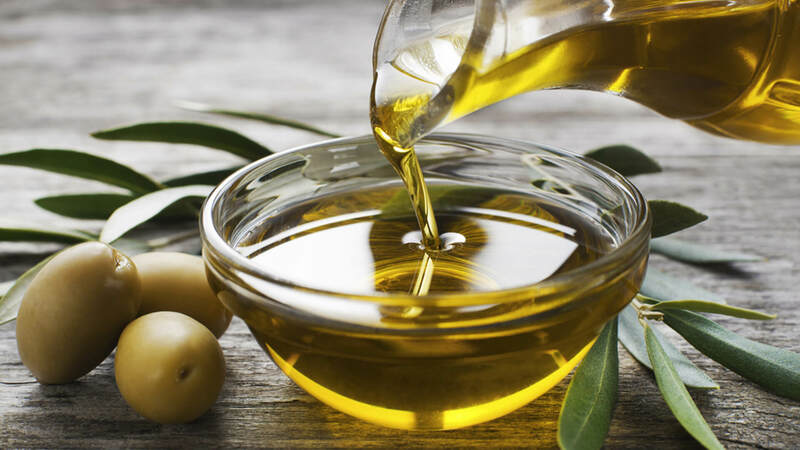 Olive oil while high cholesterol can be used for dressing salads, vegetable dishes, add to meat, fish. But you need to make sure that the total daily amount does not exceed 50 grams. It is about 3 tablespoons. Olive oil is a valuable source of polyphenols, fatty acids needed by the body. It should be part of the daily diet of people suffering from high cholesterol. Except this, with cardiovascular diseases. Of course, this does not mean that you should completely exclude them from your diet. Although eggs contain huge amounts of cholesterol (275 mg each). Experts believe that about 2/3 of the population can cope with additional cholesterol. Without feeling an increase in serum one. This is due to the fact that the body adapts to a high level of consumption. In this way, reducing its cholesterol production and removing excess. In one of the studies, 50 patients ate up to 3 large eggs daily for 6 weeks. Less than a third of them had high cholesterol after this. If you want to eat an egg and still avoid the risk, reduce their eating to 3 pieces per week. There are many studies showing the results of healthy people (both adults and children). They were consuming chicken eggs in fairly large quantities (about 3 per day or about 20 per week). It does not affect the overall level of cholesterol in the blood. In general, not to the level of harmful cholesterol in particular. Despite the fact that about 30% of the participants in the scientific studies had changes. 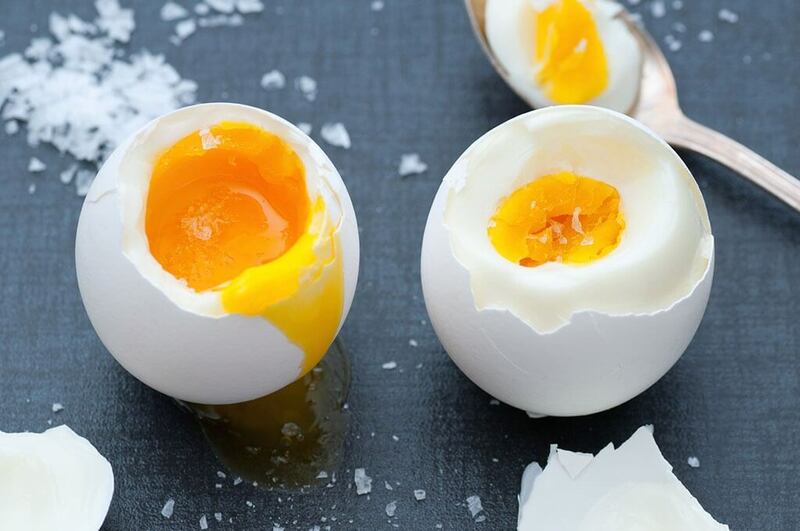 The daily eating of eggs caused some increase in cholesterol. And this increase was extremely small. However, these same scientific studies have shown that chicken eggs rather increased the level of useful cholesterol. A medium-sized chicken egg contains about 186 mg of cholesterol. That is – 60% of the advised daily intake. In some countries of Europe, Australia, New Zealand, Korea, India. There are no formal restrictions on the use of cholesterol. The fact is that the available scientific data indicates no relationship. That is, between the cholesterol consumption from food and the increased risk of cardio diseases. As will be shown below with the example of chicken eggs. How to lower cholesterol? A popular recommendation for a long time. It is to limit the use of eggs (primarily yolks) to 2-6 per week. The logic of this restriction is as follows. Chicken eggs have a lot of cholesterol. When we eat eggs the level of cholesterol in the blood increases. High cholesterol increases the risk of cardiovascular disease. But there is no scientific basis for such a limitation. Scientific studies indicate that there is no correlation between egg eating and the risk of heart disease. And this is primarily a matter of general diet. And not removal from the diet of a certain type of food. Such as chicken eggs. In such experiments, as a rule, two groups of people are studied. Representatives of one eat several eggs every day. And the other excludes eggs from the diet. For several months, scientists have been monitoring cholesterol in the blood. The results of such tests can be summed as follows. In almost all cases the level of good high-density cholesterol (HDL) increases. In general, the total cholesterol and low density “bad” cholesterol remains almost unchanged. Sometimes slightly rising. If eggs are enriched with omega-3. Then the level of triglycerides in the blood decreases. It is one of the risk factors for cardio diseases. The level of certain antioxidants in the blood increases significantly. Such as lutein and zeaxanthin. Nutritious and not expensive, legumes comprise a high level of fibre. That dissolve in the water. It is pectin. If you are searching the ways how to lower cholesterol level. These vegetables are perfect for you. This substance surrounds cholesterol. And remove it until it does not harm the body. 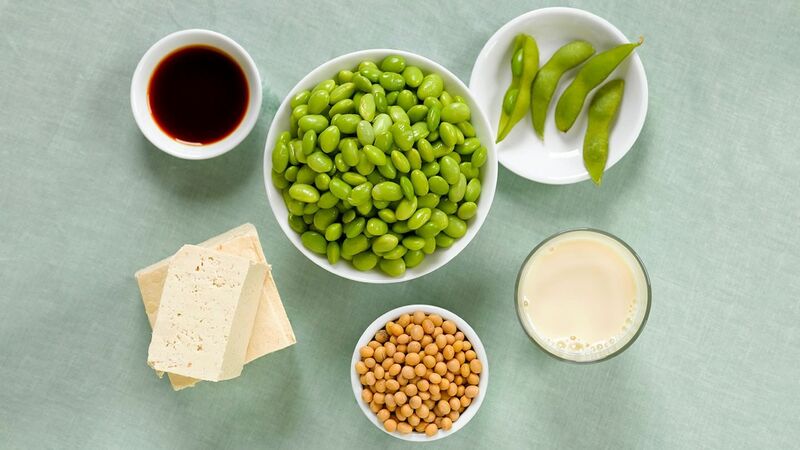 Being a complete substitute for meat, beans are better and faster absorbed by the body. They contain the necessary number of acids, vitamins, fats and minerals. That is sufficient for humans. The beans contain potassium and folic acid. Elements that are able to provide a protective reaction of the body against infections. A thorough cleaning of the vascular walls and plasma. Moreover, legumes have sufficient content of dietary fibre. It prevents the occurrence of heart disease, improves digestion. Nutritionists agree that with the daily intake of 150 grams this type or any legumes. In two weeks, cholesterol noticeably lowers in the blood. Beans and cholesterol are simply made for each other. As mutually exclusive elements. Studies of the Medical Sciences Academy have shown the optimal dose of this product for a person. It is the amount of 20 kilograms per year. And if you consume peas or beans for a month. Then cholesterol will decrease by 10 percent or more. How to lower cholesterol eating beans? In order to properly prepare the grains and noticeably remove the high cholesterol content. You should follow some rules. Take a glass of beans and be sure to fill it with water for the night. In the morning it is necessary to remove the water. Then boil it in new water with the addition of vegetable oil until ready. Beans are boiled for a long time. So add more water and reduce the heat to a minimum. So it does not crack. This portion can reduce the rate by 10%. To avoid the formation of gases in the intestines. Just throw a pinch of bake soda into the water. As soon as a disease is detected. At once change the diet. Replace meat with beans, peas, oatmeal, vegetables and fruits. Exercise or effectively activate your lifestyle. Exclude all fatty dairy, meat, smoked products from the diet. But increase your plant food intake. 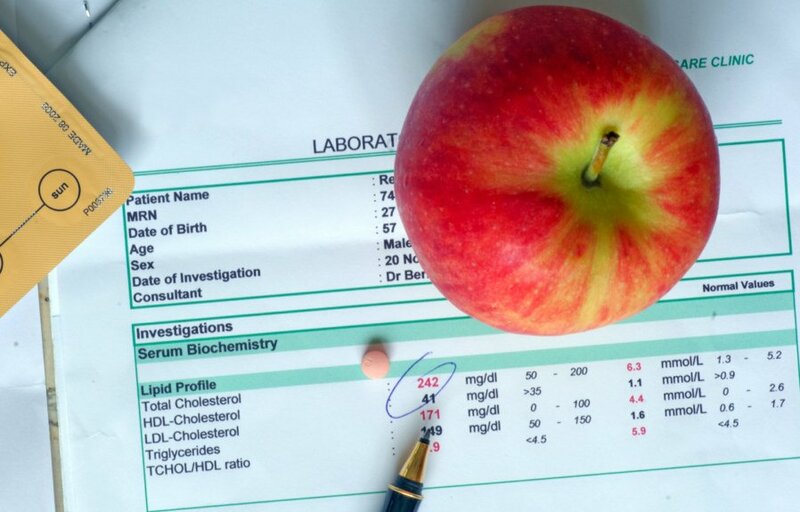 How to lower cholesterol? A good dish during treatment will be vegetable stews, vegetable soups and mashed soups. Bean cultures are tasty while boiled, steamed and baked. The higher weight you have, the more cholesterol your body produces. A twenty-year study in the Netherlands led to such a result. The body weight is the only important determinant of serum cholesterol. Each weight gain of 0.5 kg increases cholesterol levels by 2 levels. And the well-known heart study showed a clear link between blood cholesterol and body weight. You should know one fact if you are searching for ways how to lower cholesterol. Increased weight and cholesterol go hand in hand. And is defined by a significant link with health problems. Often people tend to lose weight to look more attractive. Some, on the contrary, suffer from a lack of weight. And tend to gain extra body weight. However, the lack of weight is much less common among the population of developed countries. 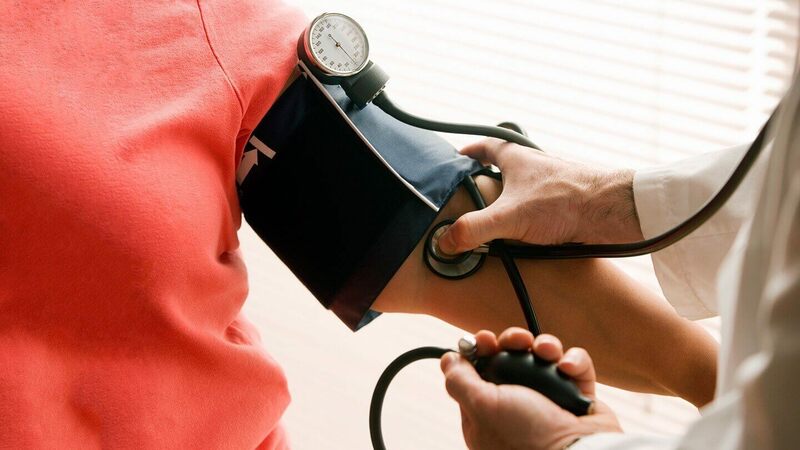 Large changes in weight impose a significant load on the heart and blood vessels. But gaining extra pounds is even worse. As it causes the body to adapt to new stressful conditions. Extra kilos means extra cells and body tissues that also need oxygen. This leads to the need for more blood to supply the body with oxygen. As a result, the heart walls are stretched due to increased and stressful loads. In a number of people, cholesterol levels gradually increase with age. And weight control allows them to interfere. With an increase in body weight, triglycerides in the blood also increase. That increases the risk of a heart attack. The human body has a complex structure. 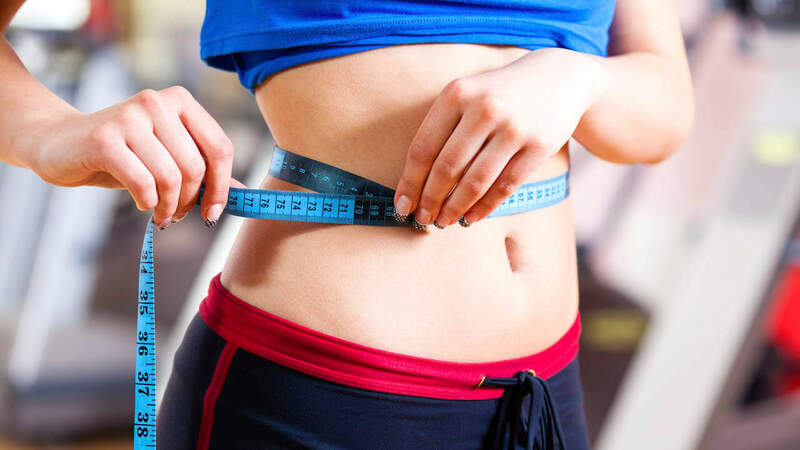 Therefore, you should approach the issue of weight loss seriously. First of all, you should entirely change your lifestyle. A person who is fighting with obesity has 3 main goals. Reducing body weight to normal levels. Treating the diseases resulting from excessive mass gain. Scientists have identified the following pattern. The more overweight a person is, the more cholesterol is produced in his body. In the process of research, it was reliably set. That if there is an excess of body weight of only 0.5 kg. The cholesterol in the body rises to two levels at once. This dependence of excess weight and cholesterol makes you seriously think about the state of the body. Excess cholesterol in the body leads to the growth of a large number of disorders. Primarily in the human body, the progression of such a disorder as atherosclerosis is probable. This disease is defined by the presence of cholesterol deposits on the inner walls of blood vessels. This provokes a failure in the blood supply of the body’s cells with oxygen and nutrients. Excess weight leads to fat deposits in the body. Obesity threatens people leading an unhealthy lifestyle. And people not keeping to the rules of proper nutrition. The risk group for obesity includes people. Consuming a large number of semi-finished products. Fried meat and potatoes. Consuming a large number of pastries. Leading an inactive way of life. Having violations in metabolic processes. In addition, the rise of obesity in the body. And, as a result, the increased cholesterol production in the liver. The reason for these disorders can be diseases in the human body. Such as diabetes mellitus. The fact that a person has excess cholesterol and excess weight is not a sentence. How to normalize these processes and bring them to a normal condition? In some cases, it will be enough to change the lifestyle and change the diet. In addition, it is recommended in this case to do sports. Regular physical load contributes not only to weight loss and lower cholesterol in the body. But also to its general state. So how to lower cholesterol? The level of harmful cholesterol can be reduced by. The decrease of animal fat and fast carbs in the diet. Increasing the content of plant fibre in the diet. An additional dose of medicines containing amino acids. Such as choline, lecithin and methionine. Besides, alpha lipoic acid may be prescribed. An increase of foods with a high content of vitamins and microelements in the diet. Preventing the excess weight helps to keep cholesterol at an acceptable level. This prevents the emergence of many diseases associated with metabolic disorders. Fruits also have the ability to reduce cholesterol level. Because of the presence of pectin in it. Nutritionist James Serd at the University of Florida Medical Sciences Center found out the fact. That grapefruit pectin is in the pulp and peel. And it reduces cholesterol by an average of 7.6% in 8 weeks. Eat many other fruits. For example, if you eat half of the grapefruit for breakfast. An apple for the second breakfast. Some slices of orange for a dinner. Then you will be able to progress on the way how to lower cholesterol. Citrus fruits, their peel is known for being excellent sources of vitamin C. They are rich in chemical elements called phytosterols. Like other fruits, vegetables and seeds. Plant sterols block cholesterol, stop its absorption by intestinal cells. Sterols can also indirectly clean vessels. They are great helpers on the way how to lower cholesterol. Mandarins are a low-calorie product. Their calorie per 100 grams is 53 kcal. This means that in one fruit without peel and depending on its size 40-64 kcal will be contained. Fruits are an excellent source of carbs. So for people suffering from diabetes, you can consider them as a snack. Which should not include more than 30 grams of carbs. While high sugar, it is advisable to eat no more than one piece per snack. And maximum 3 pieces. 100 grams of citrus include. 6 g of sugars, half of which is fructose. 7% of the daily value of plant fibre. 4% thiamine (B1), riboflavin (B2), folate and calcium. In addition, the mandarins include a large number of antioxidants. They are beneficial to human health and explain the popularity of this fruit. In addition to vitamins, these fruits contain many minerals, pectins, carotene, and essential oils. It is important to pay attention to the fact that they contain citric acid. This allows you to not worry about the fact that harmful substances enter the body. 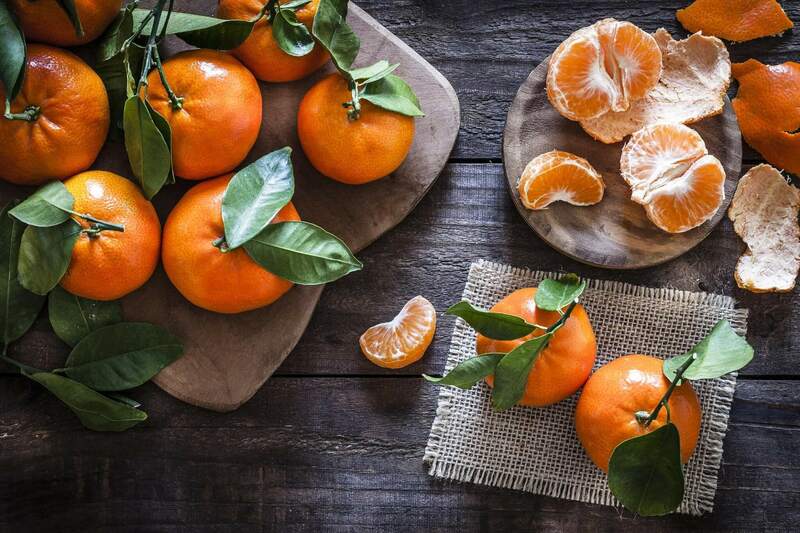 Mandarins help to cope with many diseases. They contribute to quenching thirst. In cases where there is an increased body temperature. Thanks to the anti-edema action, they help to cure bronchitis and asthma. Besides, help reduce the number of cholesterol plaques. And help improve the overall tone of the body. Mandarins promote appetite, have a positive effect on the gastro tract, elevate mood. Mandarin juice is considered dietary. Because it is advised to use for those who want to reduce their own weight. How do citrus fruits help on how to lower cholesterol? Heart attacks and strokes account for almost 70% of all deaths in the world. In almost all cases, this is a consequence of elevated cholesterol. According to many scientists, citrus fruits help prevent atherosclerosis. It is due to their ability to break down cholesterol. That is because doctors recommend using these fruits while the high level of cholesterol. Mandarins lower cholesterol and prevent the presence of plaque. 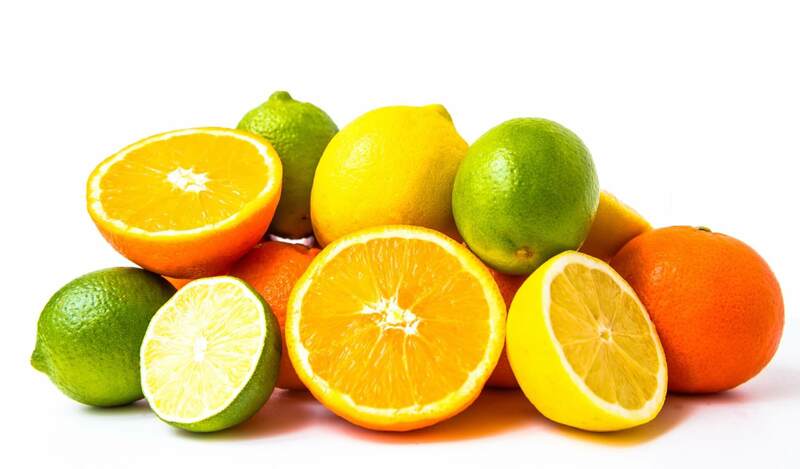 In addition, being a product of plant origin, citrus fruits do not have bad cholesterol in their composition. Because their use does not provoke an increase in its level in the blood. Beta-glucan is a soluble fibre found in oats and barley. It reduces cholesterol and the risk of heart disease. This beta-glucan just reduces the density of harmful cholesterol. Without affecting the beneficial one. It dissolves in the gastro tract. Forming a thick gel as a result. This gel binds to excess cholesterol and saturated fats. Thus, they are not absorbed by the body but are excreted naturally. Experts believe that the optimal consumption of beta-glucan is at least 3 grams per day. The effect can be observed after six weeks. How to lower cholesterol? Regular consumption of oatmeal and barley helps reduce blood cholesterol levels. It is much more efficient than simply reducing the intake of saturated fat. Scientists from the University of Toronto, Canada, carried out a study. There were 345 patients with high cholesterol levels. The results showed that if you follow these tips for six months. Then you can reduce the content of low-density lipoprotein (harmful cholesterol) in the blood by 13%. And if you eat properly for a long time. Then over a ten-year period, the risk of developing cardio diseases will decrease by almost 11%. By the way, oatmeal has a number of valuable properties. For example, it is proved that eating oatmeal for breakfast increases the attention level during the day. Tests on children have shown that a portion of cereal in the morning can solve this problem. Which type of oatmeal is the most effective? Although there is some disagreement about that. 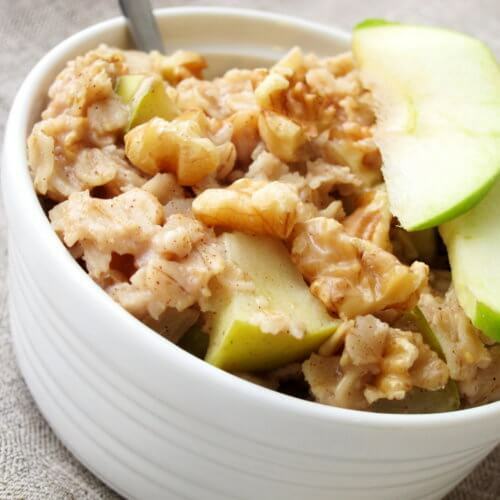 Everyone agrees that any food that contains oatmeal provides some help in regulating cholesterol levels. The best option can be oatmeal flakes or crushed oatmeal cereal. However, there is also evidence. That even the use of soluble oatmeal or cold oatmeal produces a positive effect. Even sweet oatmeal bars, which people often eat as breakfast. Or as a snack. They also can help in this matter. Of course, the calorie content of this sweet product is higher. And processed sugar is not a very good choice for people who monitor blood glucose levels. 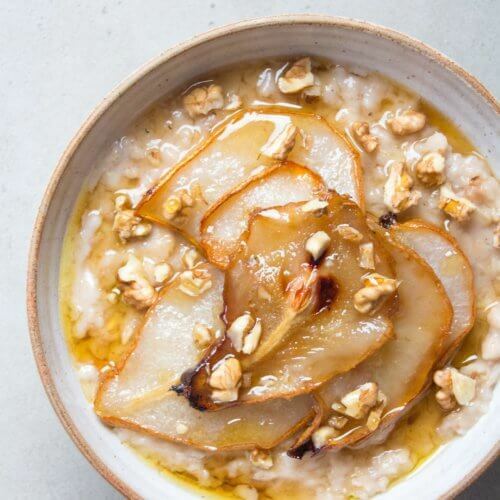 The best option would be to enjoy porridge with banana slices. As this increases the total fibre content. And increases the removal of bad cholesterol from the body. 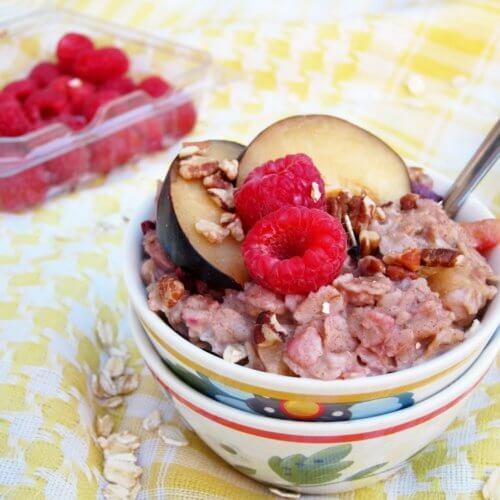 Top 3 oatmeal recipes to lower cholesterol. Wash the apples and finely chop them. It is not necessary to clean them. As the skin contains the most useful substances that help us get rid of cholesterol. Pour boiling water over the oatmeal so that it starts to cook immediately. It is very easy and fast. After 10 minutes, add the apples to the oatmeal. When it becomes soft, remove the porridge from the fire. Pour the mixture into a blender and whisk until smooth. You can sprinkle this wonderful cocktail with ground cinnamon. Perfect for breakfast and dinner. Pour a glass of water into the pan. Bring it to a boil and add the oatmeal. As soon as the mixture has a thick consistency. Remove the pan from the heat. Peel the pear and cut it into small pieces (do not peel it off). Pear reduces cholesterol in the blood. And in combination with oatmeal, its beneficial properties only increase. Transfer the oatmeal to your favourite dishes. And add to it a few pieces of pear and a tablespoon of honey. You will get a delicious and nutritious breakfast. Be sure to try! The three fruits that best help fight cholesterol are apples, pears, and plums. Strawberries, cranberries, kiwis and grapes are also very useful. So you can safely add all these fruits and berries to your morning oatmeal. To regulate cholesterol levels. Cooking is easy. Boil water in a saucepan and add the oatmeal there. So that it starts to cook immediately. In the meantime, prepare the plums. Remove a bone from them and cut them. Finely chop the walnuts. After the oatmeal is ready, shift it to a cup and add plums and nuts. This breakfast is ideal for regulating blood cholesterol levels. Try eating oatmeal every day, and you will very soon notice how your well-being improves. 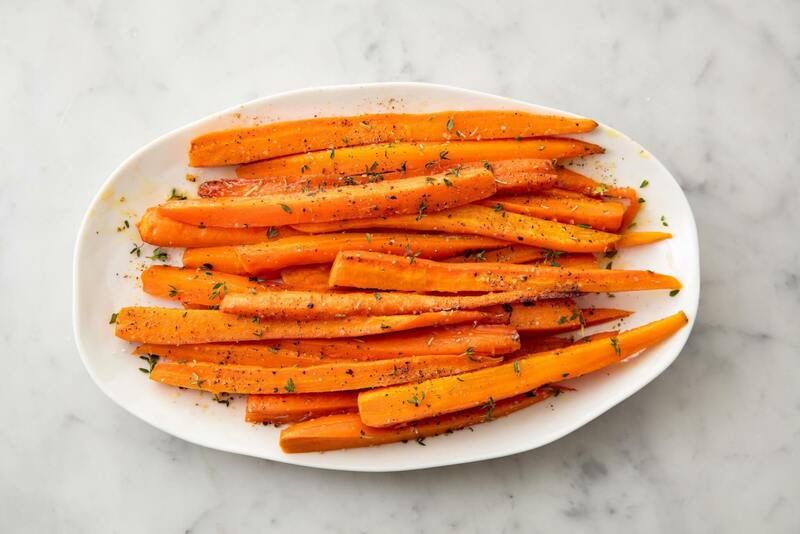 Carrots also lower cholesterol, as it contains pectin. Says Peter D. Hoagland, Ph.D., at the United States Department of Agriculture’s Eastern Research Center. In fact, people with high cholesterol just need to eat 2 carrots a day to reduce it by 10-20%. Carrots are good for health. As well as in the fight against high cholesterol. Bright saturated colour of the vegetable indicates its content. It is high in carotenoids, retinol precursors (vitamin A). Beta-carotene and vitamin A are powerful antioxidants. They play an important role in the prevention of cardio diseases. Besides, have a positive effect on lipid metabolism. How to lower cholesterol using this amazing vegetable? Carrots are also rich in microelements. Such as potassium, magnesium, phosphorus, iodine, etc. It comprises vitamins (nicotinic acid, B6, B2, C, etc.) Contains fibre, essential oils, and many other useful substances. All this allows it to be widely used in dietary therapeutic and preventive nutrition. Including patients with cardio diseases. In fact, carrots refer to the most useful products. That help to lower cholesterol level. It is advised to eat at least two roots a day for a month. In this case, the use of carrots while high cholesterol will be noticeable. A good result is achieved due to the fact that it contains beta-carotene and magnesium. Beta-carotene is responsible for metabolism, That is, this substance stabilizes it. Magnesium affects the outflow of bile. That is, accelerates it. In such a way, helping to eliminate low-density lipoproteins with bile acids. A little advice. The root becomes very tasty in stewed form. You can use carrot juice. Especially in combination with apple or citrus one. It is advised to drink half a glass of juice before eating. But do not abuse it. As carotene jaundice can develop. Care should be taken with Korean carrot. As it is rich in spices. Proper and regular use of carrots while high cholesterol helps reduce its level by about 5-20%. Rhode Island cardiologist Paul D. Thompson, an associate professor of medicine at Brown University. He considers it possible that exercise reduces the cholesterol blockage. That has grown in the arteries. He names one of the best ways to raise the level of protective HDL. It is intense exercising. Which also slightly reduces the level of unwanted LDL. How to lower cholesterol? 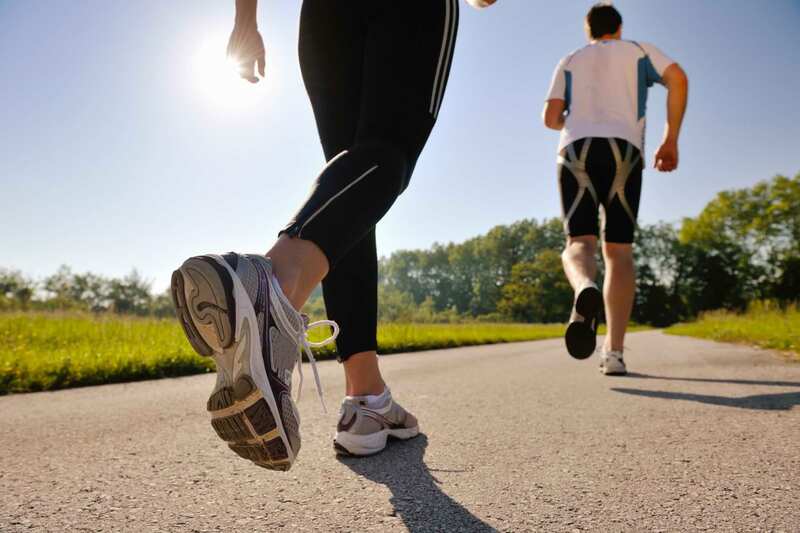 Physical activity while high cholesterol level helps to solve several problems at once. First, they contribute to the loss of excess weight. Which significantly increases the load on the vessels. And prevents the removal of harmful cholesterol from the body. Secondly, regular exercise helps to remove the harmful cholesterol from the body. Thirdly, physical load helps to increase the level of good cholesterol. Hence, any physical activity will bring you proven benefits. Just try not to overload yourself so that you can quit classes entirely. It is better to exercise, walk or spend half an hour a day in the pool. Than to torture yourself with exercise equipment in one two-hour workout. And then forget about the gym forever. Experts have found one point how to lower cholesterol level. Regularity and duration of training are more important than their intensity. Here are some useful tips from our experts. Begin training with 30-minute workouts 3 times a week. With an accent on aerobic exercises. Such as running, cycling, aerobics, or swimming. If practising 30 minutes is too hard for you. Then start with 20 or even 10 minutes. And then gradually increase the workout time. If you have the desire and time. Then expand the exercising time up to 45-60 minutes 5 times a week. Be sure to ensure that the load during the workout build up gradually. Be sure to warm up at the beginning. And let the body cool down at the end of the training (at least for 5-10 minutes). How to lower cholesterol levels using physical load? You can choose a type of exercising due to your preferences. Those who prefer power types of loads. For example, dumbbells, shaping or exercise equipment. It is enough to do 2-3 approaches with a load on the legs. 2-3 approaches with a load on the body. And the same amount with a load on hands. It takes just about 30 minutes to lower cholesterol level. If you like to walk in the fresh air. Then use the walk as a healing means. 3-5 times a week, walk away from polluted streets for 30 minutes. And at the same time ensure that your pulse does not increase for more than 10-15 beats per minute. In the spring, summer and autumn garden work can provide priceless training. But here, it is very important not to overwork so that your back hurts or pressure rises. To avoid this, after every 1.5-2 hours of work, be sure to take a full half-hour break. And do not go to work during the high sun – from 12 to 16 hours. A positive effect from exercising is visible only when you do it regularly. And on the condition that you do not experience too intense load. Because of hard strength training. Actually, physical exercises and cholesterol level are connected notions. In other words, the more physical load you get, the lower your cholesterol level is. So how does exercising benefits for the health of a person with high cholesterol? Increased oxygen supply to the organs. A decrease in body fat. According to medical experts, that conducted tests. They made the connection between physical load and cholesterol level. Received statistic data provided such results. Going in for sports for half a year, with moderate daily loads. It led to the return of normal metabolism. And lowering the level of harmful cholesterol of 50% members. Physical exercises for 1 year, created for every single person. It led to lowering cholesterol level of 80% members. In 2 years of regular physical load. 100% members of the test have regulated their cholesterol level. Even those who used the easier program. One more result of these studies. It was the dependence of the training nature on the change in the harmful cholesterol level. Regular moderate exercise allows you to achieve a more active reduction in LDL. Than rare strength exercises. Notice that too intense physical load while high cholesterol will not benefit. But on the contrary, will affect his health rather negatively. This is another reason to give up smoking. There is a study by a New Orleans medical scientist, David S. Friedman. So in young boys who smoked only 20 cigarettes a week. There was a vital increase in blood cholesterol levels. In addition, the study showed that smokers have low levels of healthy HDL cholesterol. However, when a group of habitual smokers quit smoking, everyone quickly increased the density of HDL. It is known that smoking harms human’s health a lot. It is hard to find at least one organ. That does not suffer from the influence of poisonous substances. They enter the organism with every smoked cigarette. Cholesterin metabolism is no exception. Experienced physicians regard the smoking and cholesterol “a dangerous mass”. It slowly kills even strong and physically developed people. What do they mean? 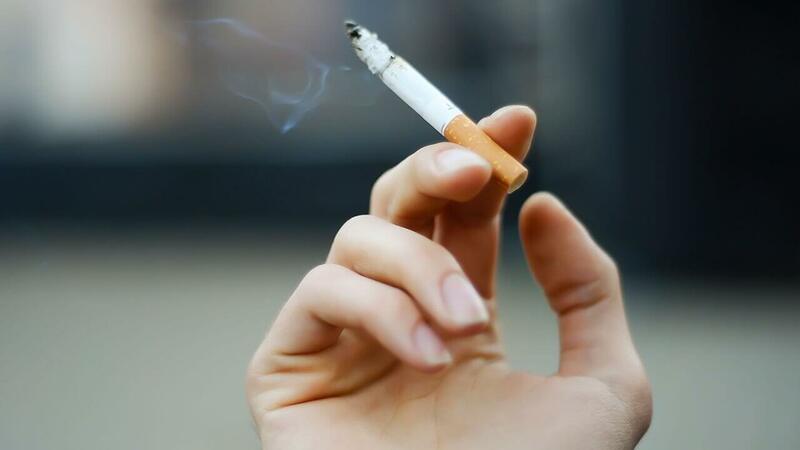 Scientific studies show the effect of tobacco addiction. Actually, it seriously upsets the cholesterol balance. Reducing the amount of useful cholesterol and increasing the level of harmful one. Smoking, by itself, without high cholesterol. It makes blood vessels fragile and more sensitive to rupture. If a cholesterol plaque is formed in such a “crystal” vessel. This greatly increases the possibility of ruptures and thrombosis. Actually, smoking is one of the most serious risk factors for high cholesterol. Sadly, no tricks in the diet and even medication will not help to establish a cholesterol balance. If a person smokes. The first step is to get rid of tobacco addiction so that high cholesterol therapy can be successful. Scientists have shown that giving up smoking increases the level of good cholesterol by almost 10%. And if you add to this also regular exercise. Then you will receive an extra increase in HDL. An additional 5%. This will be a good help to your body. And in some cases, it is even possible to reduce the dose of medicines. That decrease the level of low-density lipoproteins. Heart attacks and strokes are the reason for almost 70% of deaths in the world. But a few people know that 7 of 10 people die exactly because of high cholesterol level in the body. As a result, blockage of the heart or brain arteries. The most dangerous is the fact that many people do not even suspect. That they have a high cholesterol level. And they miss the opportunity to fix something. Simply condemning themselves. And they do not even guess how to lower cholesterol level. Hope that our pieces of advice will help you to recognise the disease. Symptoms of high cholesterol in the blood. Black dots before eyes (flies). To conclude, we advise you to monitor your health. When you notice something wrong, consult a doctor at once. Do not forget to use our pieces of advice on how to lower cholesterol levels. Stay healthy!